The big sports books in Nevada always do a good business on NASCAR feature events. The popularity of the sport has grown from big to huge in the past few years. So when the NASCAR show comes to Las Vegas for its annual race there, a record breaking handle is always possible. The folks running the 4 day event outside of Las Vegas made every effort to make sure that race car fans in attendance got as much bang-for-the-buck as on any course on the NASCAR circuit. Local casino managers sort of consider themselves hosts of the big event. Race fans also enjoyed the ‘Neon Garage’ which is an experience that allows fans to get under the hoods with the crews atop the stalls. Then of course there are all the other amenities offered by what some are calling ‘Sin City’, the wagering capital of America, Las Vegas, Nevada. The big race took place on Sunday evening with Joey Logano sitting on the pole in his number 22 car and Brad Keselowski on the outside. Clint Bowyer and Austin Dillon were in the second row and Jimmie Johnson and Stenhouse in the third. Logano’s qualifying speed was 193.278 turning in a lap time of 27.939 on the mile and a half oval track. Las Vegas sports books listed Jimmie Johnson as the favorite to win the race, ‘like, what else is new?’, at 5-to-1 odds with Kyle Bush and Matt Kenseth close behind at 7-to-1 and Kasey Kahne at 8-to-1. Kevin Harvick, who won the “Profit on CNBC 500’ last week was listed at 10-to-1 odds to win at Vegas along with current points leader Dale Earnhardt Jr. who had a spectacular victory at Daytona and then finished second behind Harvick in Arizona last Sunday. Just the fact that Dale Earnhardt Jr. is doing so well this season will serve to increase the wagering handles on NASCAR events for as long as he keeps winning, or at least coming close. Dale Jr. was sort of adopted by the NASCAR community when his daddy went into the wall at Daytona in 2001. Everybody has watched him grow up and everyone is pulling for him. 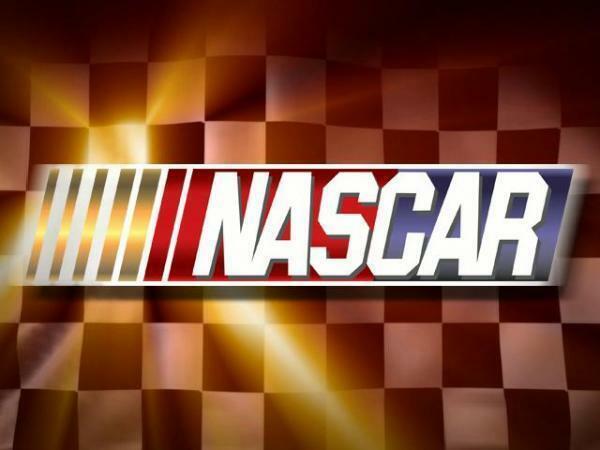 NASCAR has been holding major races in Las Vegas since 1998 and the economic impact to the area has been over one billion bucks in non-gaming revenue alone. The handle for the race in Vegas will more than double that of the Daytona 500 two weeks ago.